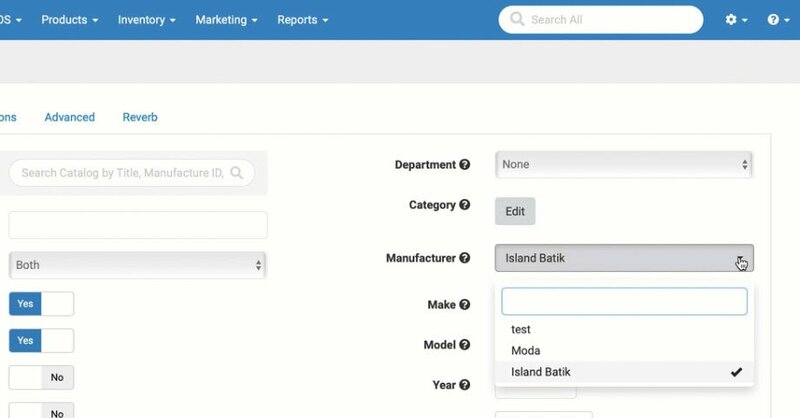 You now have the ability to control which email and text message notifications are sent to customers during the order fulfillment process. 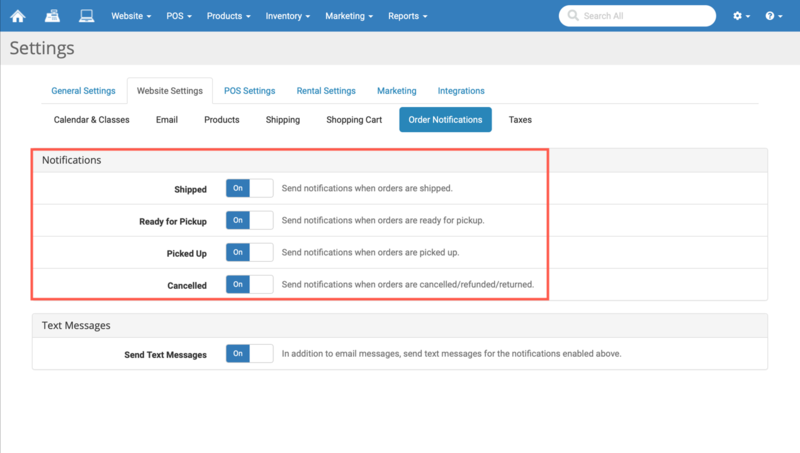 You can opt to have email messages sent when an order has Shipped, when it's Ready for Pickup, when it has been Picked Up, and/or when it's been Cancelled. Improved the integration so that when you try to save a product and list it on Reverb where an existing product with the same SKU already exists, it will stop you from being able to do so. We now display an error in red text saying "SKU already exists on Reverb." Fixed an issue where rental products wouldn't display on the Rental Admin page due to missing inventory and price. Updated the website so that when someone tries navigating to a deleted / deactivated class or product page, instead of displaying it, we redirect them to the Home page.